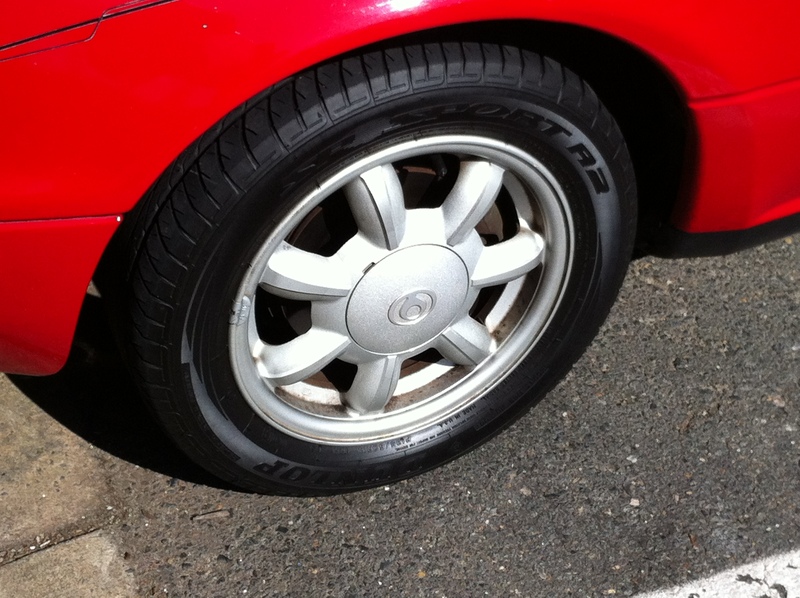 When I was writing the ad to sell the Miata, the one negative that gnawed at me was the old, flat-spotted Dunlop tires. I knew they were old, because 1) I had the receipt, and 2) they were the same Dunlop D60 A2s that I bought for our 1994 Miata in early 1997. I don’t think they’ve made these tires for over 10 years. Regardless, they were old, hard, flat-spotted and in dire need of replacement. It was not a story I wanted to explain to potential buyers, and was a definite knock-down to a really terrific car. Now that I have decided to keep it, I decided it was high time to address the issue.